Cardiac event monitoring is a long term diagnostic tools used by medical professionals to connect patient symptoms to cardiac events. Although Event monitoring has evolved significantly in recent years, event monitoring has been used as a diagnostic tools since the early 1980’s. Cardiac event monitoring is generally ordered by physicians when the symptoms are not captured in a 24 hour Holter monitor or when the clinician suspects the symptoms too transient to be captured in a 24 hour monitoring period. 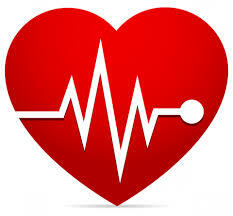 Cardiac Event Monitoring is general term to describe long term cardiac ECG monitoring. Cardiac event monitoring has a variety of forms from patient activated, automatic detection, wireless event monitoring to implantable cardiac event monitoring devices. The indications of use for patient activated cardiac event monitors based on the U.S Medicare guidelines of use. As a general rule, patient activated event Monitoring is used when the symptom is so transient (or infrequent) that it will not be captured by a 24 Hour Holter monitor study. When to Order Event Monitor or Mobile Cardiac Telemetry (MCT)? With the introduction of mobile cardiac telemetry (MCT) monitoring, there is some confusion as to when to order a traditional cardiac event monitor or MCT monitor. Our analysis covers the details to of appropriate use of these two different long term studies. Cardiac event monitoring companies discussed in this section are those companies that design, manufacture and service their own device technology. All of these companies also provide the 24 hour service coverage needed for performing event monitoring studies. Much like Holter monitoring companies, there are companies out there that use the event monitoring products from the manufactures and provide their own service experience. Many of the Holter monitoring service and reseller companies are the same for cardiac event monitoring. Our expert analysis compares all of the U.S FDA approved cardiac event monitoring devices. Our research lets you compare the real features and benefits of each companies cardiac event monitoring technology. Although cardiac event monitoring has been around for nearly 30 years, the reimbursement guidelines and codes have changed significantly in recent year. Our analysis will guide you through appropriate use for event monitoring and assist you in maximizing revenues while streamlining clinical care.